Two people were found dead in a house in Billingshurst on Christmas Day, Sussex Police have confirmed. 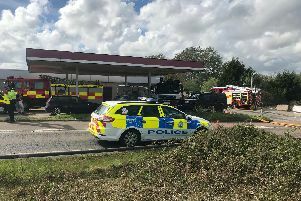 A spokesman for Sussex Police said: “Emergency services were called to a house in Groomsland Drive, Billingshurst, just after 9am, after concerns were raised for a couple. “A 33-year-old man and a woman were sadly found dead in the property.